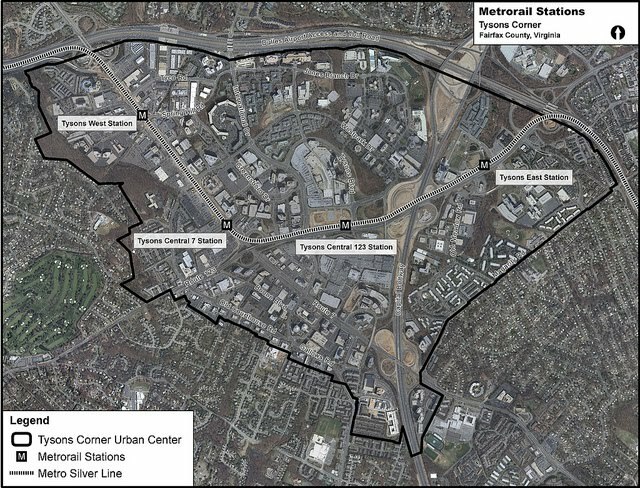 Following on the heels of Fairfax County's plan to transform Tysons Corner from a beltway exit to a citified, walkable community, financial giant Capital One has filed new plans for its Tysons Corner development, embracing the shift by proposing to turn its planned office park into a mixed-use model of urban planning. Capital One ensured future value of the land when it donated 3 of its 29 acres for an upcoming Metrorail station expected to open in 2013, a move it now seems ready to take advantage of. 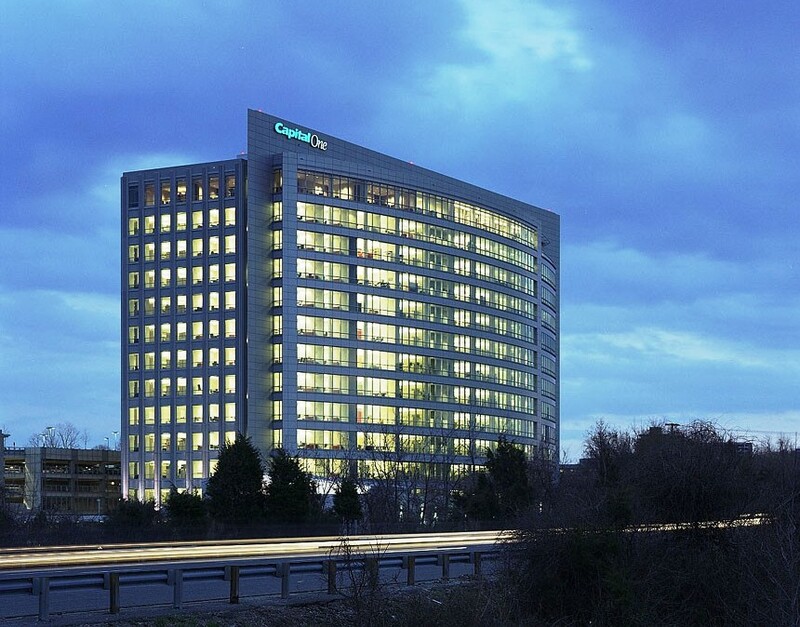 Capital One had been approved for a 4-building office park on the 26-acre site just inside the beltway that it bought in 2000, but has built only one tower; in its place the company has now designed a mix of offices, parks, retail, residential and public spaces for what might someday be a live-work-walk community. No definitive time frame has been established. Capital One acknowledges that the economic outlook doesn't yet justify much of the construction, saying it has "no immediate plans" to develop the site. But "should the need arise," the bank wants an approved model in place and has stretched out its implementation over years as the climate in both financial institutions and real estate world improve. 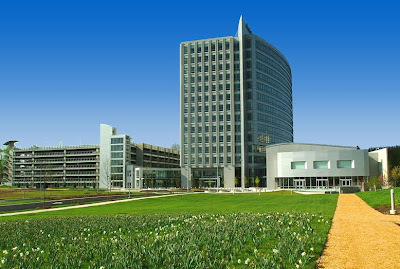 Consolidation of Capital One's headquarters began back in 2002, when it built a 14-story headquarters on its newly acquired site. But rather than build out the remaining 3 buildings with their combined 560,000 s.f. 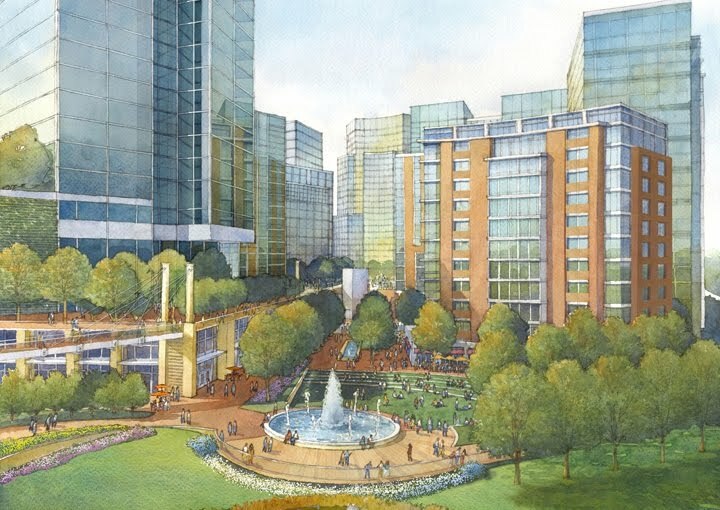 of space, despite finally nearing capacity with 1000 employees, McLean based Capital One proposes to build on the new Tysons redevelopment plan and take the campus "in an entirely different direction" with a daunting 5 million s.f. of development. If approved by the county, the "vibrant urban center" would hold 2.1m s.f. 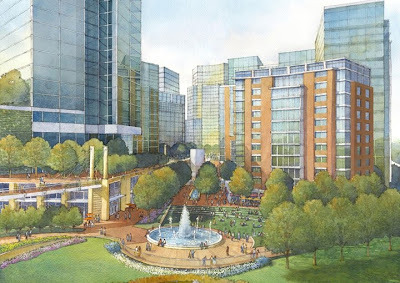 of office space rising up to 392 feet (though just 28 stories), 980 to 1230 residential units rising 20 stories, as well as hotels, parks, plazas and retail, all connected to the Tysons East Metro station. Few others have opted to launch similar projects; Quadrangle Development delivered the only new office building in 2009 and has held back on its approved residential development. But Capital One may have at least something in their wallet, since it is proposing a 15-story office building adjacent to the current headquarters and connected by an elevated walkway. It calls the building "the most likely to be constructed in the near term." The streetscape will be entirely reconfigured in what it calls an "urban grid system." Because the site is within a quarter of a mile of the new Metro station, density limits are eliminated, giving the region perhaps its best chance at a building that sets a new record for the area's tallest, possibly exceeding, just barely, Rosslyn's planned 390-foot Central Place tower. Capital One's application to the county will shoot for the USGBC's green building certification on each of its buildings by using green or reflective roofs, rainwater retention systems, pervious pedestrian paths, and a preference of foot traffic over vehicular access. Despite the nod to sustainability, the development will extend Scotts Crossing Road over the beltway and connect to Jones Bridge Drive on the west side of I-495, better connecting the overly wide roads that criss-cross the area. County officials would not estimate the time frame for evaluating the application, a process that would include public hearings and studies, and presumably a series concessions between the county and Capital One; officials say they have not yet given input on the development plan. Architects and planners envisioning the urban context include Bonstra Haresign as Urban Planner and Architect and William H. Gordon Associates as Civil Engineer and Landscape Architect. 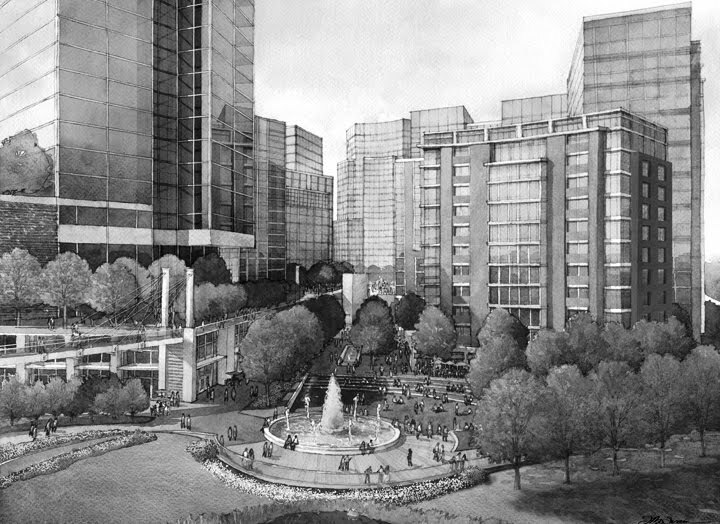 David Haresign, then Principal and Director of Architecture for Ai, assisted Capital One with initial site selection and designed the original master plan and the headquarters building, now iconic to the beltway bound as a curving "billboard" facing Tysons with the financier's logo. Like its planned successors, the first tower employed infrastructural adaptations to environmentalism, such as water-reducing plumbing, underfloor air distribution systems, pervious paving and local sourcing of materials, features not yet common at its inception. I don't see the problem with extending Scott's Crossing over the Beltway - adding that connection would be a tremendous improvement for all transportation aspects. Design matters, of course, but it's currently nearly impossible to cross the beltway as a pedestrian. Assuming you build that new connection to ped-friendly standards, that's a huge plus in connecting the eastern part of Tysons to the rest of it. Likewise, adding another vehicle link in the area (and in turn adding some redundancy to the street grid) can be a good thing - just make sure that the street is designed as a local road instead of a mini-highway. so Bonstra is the 'planner' and no one else, not even an actual landscape architectural design firm, is on the team. this should be an interesting CF. So, how many flat ones are there? 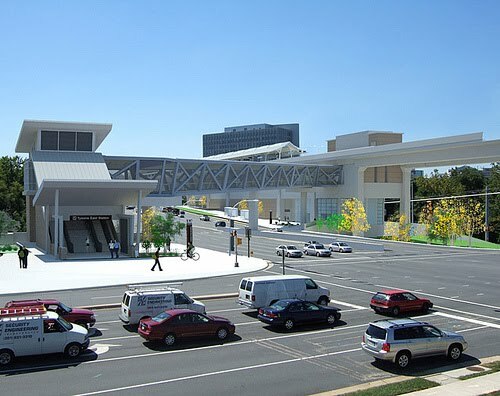 There are plans to extend Scott's Crossing over the Beltway, to the road that is being built as a connector road from Jones Branch to the Beltway Hot Lanes. This connector, between the Gannet/USA Today headquarters and the Hilton Headquarters buildings will only serve the HOT Lanes when opened in a few years, but there is a provision to also have it serve as a local road in the future when the final link is built to connect it with Scotts Crossing. Furthermore, this will provide another point of entry to Tysons business district and Rt. 123, helping to alleviate the funneling of all of that traffic towards the malls and under the Beltway for all the cars headed east on 123 towards Arlington and DC. To the anonymous comment: "so Bonstra is the 'planner' and no one else, not even an actual landscape architectural design firm, is on the team. this should be an interesting CF." Bonstra is part of a team of for this development that includes landscape designers, graphic designers, traffic planners, and lawyers. Bonstra|Haresign and William H Gordon Assoc. are the design firms leading the project. Do some research before commenting off the cuff.